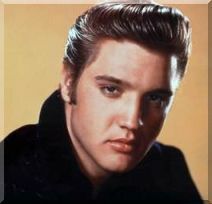 Elvis Presley Karaoke CDs with Karaoke songs by Elvic presley the king of rock and roll. Elvis Presley Karaoke CDG CD Disc - Elvis Presley Live #4 - Elvis Karaoke Music - 15 Elvis Karaoke Songs for men by Chartbuster Karaoke, premier Karaoke Music disc producer. Elvis Presley Karaoke songs on CDG CDs - 17 Elvis Karaoke Songs - Disc Number 3 of 6. These Chartbuster ESS 450 discs are now available as singles. Elvis Presley Karaoke Music on CDG CDs 16 Elvis Karaoke Songs - Disc Number 5 of 6. These Chartbuster discs are now available as singles for the first time.